Steak salad ... actually any salad as a stand alone meal does not exist in Japan. 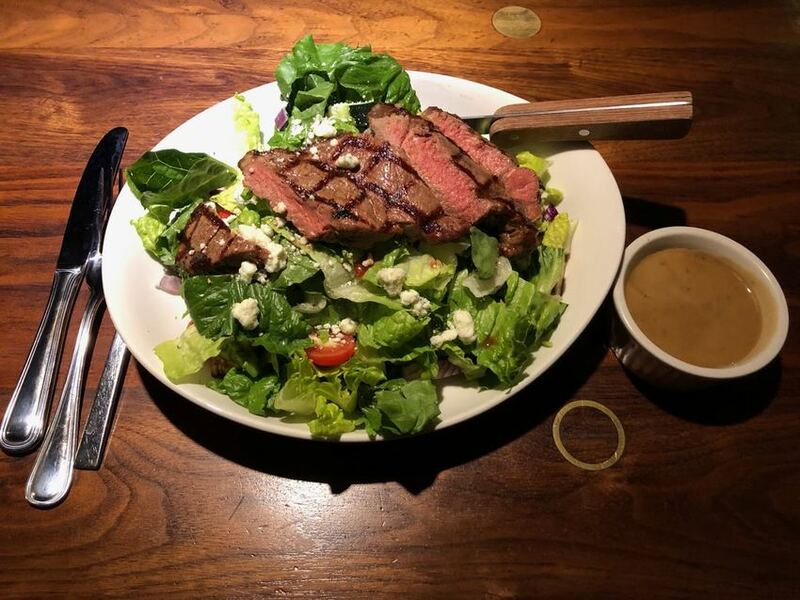 Salad is something you start your meal with. Not a meal by itself.